It’s important to make sure you plan and budget so you can maximize each and every paycheck you receive throughout the year. 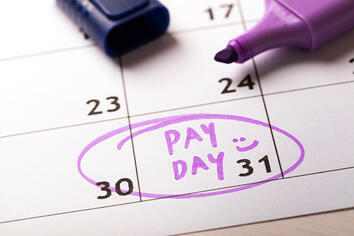 Here is a simple checklist to help you make the most of your paycheck. Set up any retirement savings to be taken out automatically before you receive your paycheck. Once all of these automatic deductions are taken out, you are left with your take home pay. With budget you created, start planning where this money is going to go to pay your expenses. If you aren’t sure how to start a budget, click HERE to see some popular methods. Some money should be put aside for saving. Even if it’s not much, putting aside a little each month can make a huge difference down the line. A great way to maximize your savings is to open a Dream Certificate with Cyprus Credit Union. Unlike with other Certificates, you can continually add funds throughout the term at a much higher interest rate than a traditional savings account.